Ok so Dura Doggie is kind of obsessed with giving back. It’s not that we mean to brag. 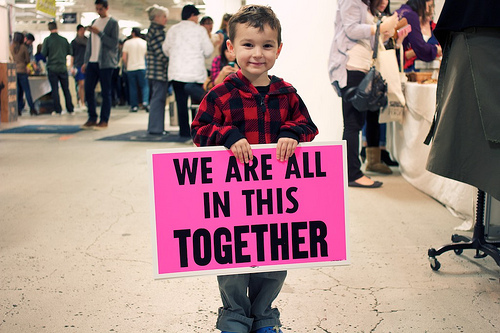 There is simply a lot of need out there, especially with the recent financial hard times. So over the holiday season we decided to launch a new volunteer program where we would pledge our time on a regular basis to different organizations in Orange County. We’re really excited to become more involved with our local community. We started in December, which is overflowing with needs for volunteers; from wrapping presents to serving food to caroling. Our singing voices are bit *ahem* rusty, so we decided upon Operation Santa Claus in Santa Ana. This amazing group is coordinated by the Social Services Agency and provides over 45,000 gifts and toys to needy children in the system. On our day, we got to be Santa’s helpers by sorting and displaying the toys, suggesting gift ideas and helping out at the checkout counter. It was a bustling day of witnessing the holiday spirit of giving firsthand. Even though the next few months found us extremely busy at Dura Doggie, we took time at the beginning of February to head over to the You Are Special Food Pantry in Orange, CA. For about a decade now they have been handing out packages of food to the homeless and working poor in the city of Orange. A whole spectrum of organic produce, bread, desserts, meat, and dairy items is collected from generous local grocery stores and given to about 250 families who line up every Wednesday morning. 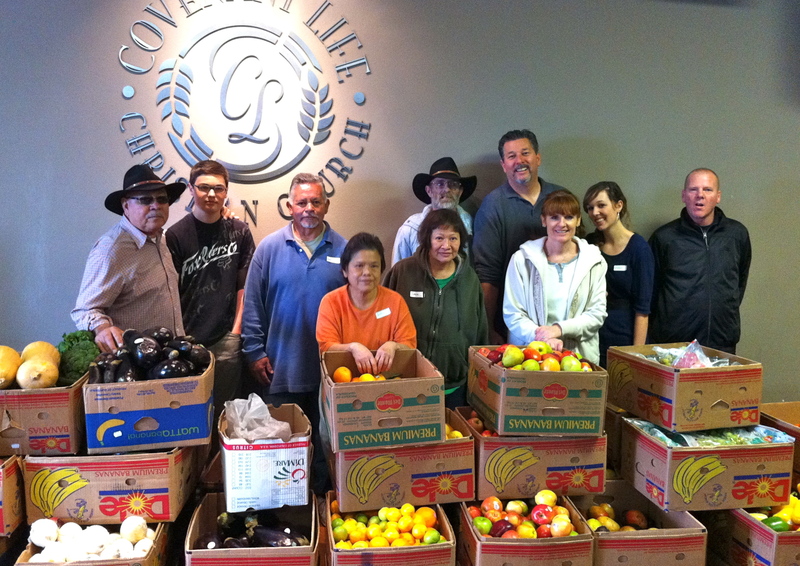 We got to participate the day before by receiving and sorting all the food that would be handed out. Upon arriving, we were warmly greeted by Eric Hensley, the pastor at the church next door, who gave us the official tour of their facility. Shortly after getting started, we met Michelle Hensley, who started YAS in 2002 out of a growing need she recognized in the community. Throughout the day as we sorted food, we got to talk with more members of their family and work alongside people who regularly give their time at You Are Special. We met amazing people and for one day we got to be a part of work that goes on every week and is needed every day. 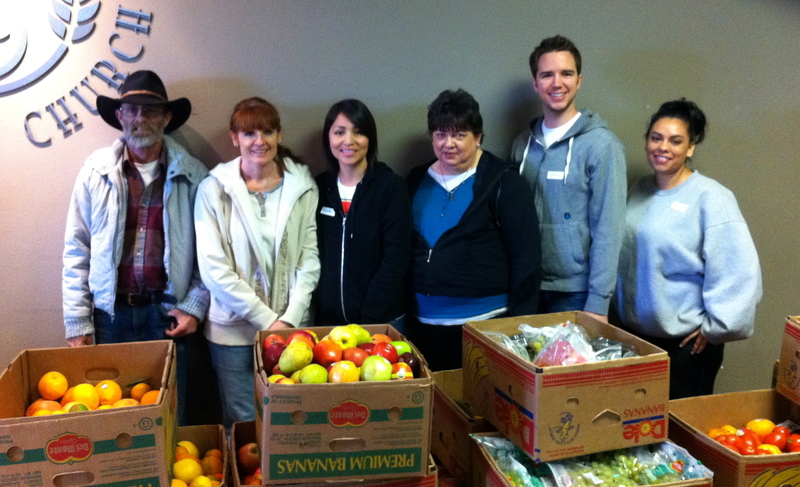 As a group we look forward to helping out at the You Are Special Food Pantry again. More “tails” of our volunteering adventures to follow! Well here we find ourselves starting out in a shiny new year while still catching our breath from the whirlwind of the last. Like a lot of businesses, the holiday season brings with it a sense of frenzy and the much-welcomed rush of orders. Right in the middle of this wildness we decided to pack up the “Chews Your Cause” line and caravan up to Los Angeles to be a part of the Unique LA show on December 3rd + 4th. 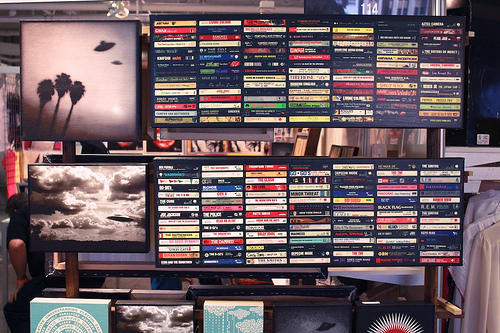 Who’s name certainly tells no lies, as the largest independent design show in the country. 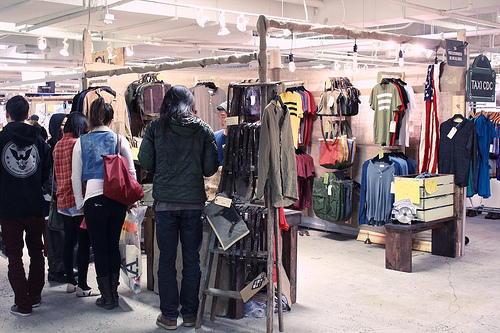 Each vendor is hand selected to be a part of this event, so as a result attendees get an exclusive chance to meet and shop directly with hundreds of individual artists and designers. We were thrilled to be a part of this consumer show and get the chance to present our toys to the end user for a change. We love sharing in the excitement our products generate among dog lovers. We even sold a Beba toy to a little girl’s father when his daughter wouldn’t give up on wanting one for herself! 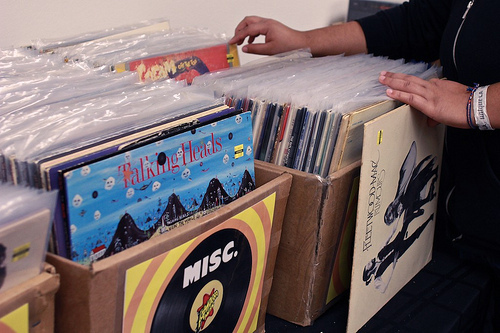 We always have so much fun being a Unique LA vendor, and this time was no different. The food was yummy, the music made us want to dance and the people we met were incredible, not to mention all the cool art, crafts and beautiful handmade items we were surrounded by. JJ Abrams himself even sent us a quick email to let us know that his dog is happily enjoying the Beba toy he got at the show. A successful show indeed. Another uncommon day at DI, Dura Doggie Update! It is my privilege to present a behind the scenes look at the upcoming Dura Doggie video testimonials that will be released in the upcoming months! For the last several weeks, the Dura Doggie Team has been scouring the Orange County area to find amazing dogs and their owners to be “Dura Doggie Video Stars”. From visiting dog parks and beaches, to advertising on Facebook and Twitter, the Team has put a great deal of effort into making this new promotional adventure into a reality. The new video series features testimonials from people who have fallen in love with their Dura Doggie toys and want to tell the world about it! They say in the movie industry you are never supposed to work with kids or animals, but of course we took that as a challenge. 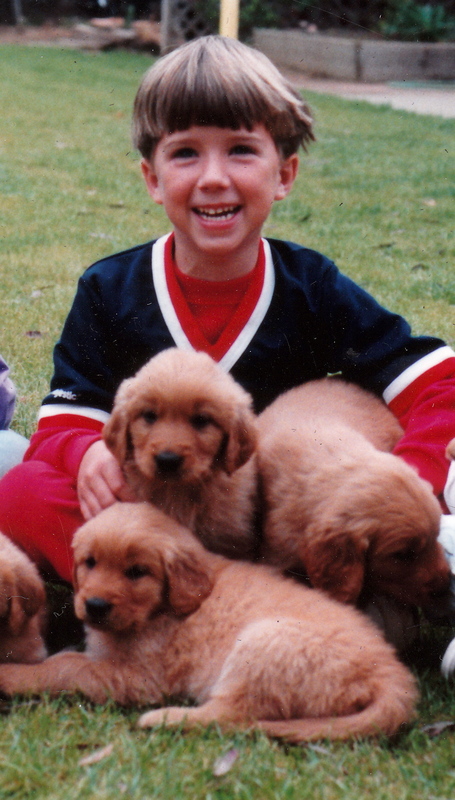 We decided to work with both kids and dogs…and often at the same time! What we got was some incredibility cute footage that will melt the heart of Mr. Scrooge himself. We spent a week shooting our fabulous “Dura Doggie Video Stars” who represented all walks of life from men currently suffering from diabetes to little girls who love helping animals. We were able to capture some great moments, and now begins the long post production process. Somehow, I have to figure out what is going to be cut and what to save…when I want to keep all of it! Within the next few months, we will be releasing the fruits of our labor on our website, Facebook, and YouTube. Keep an eye out for a behind the scenes look at the new Dura Doggie testimonials, coming soon to a computer near you! Last week TOMS announced they were branching their One for One campaign to not only shoes, but sunglasses! 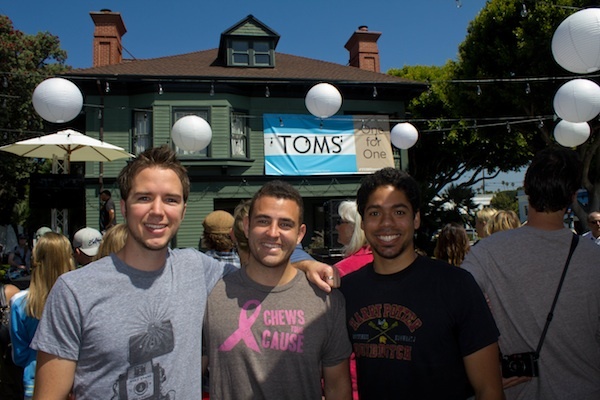 To support Blake Mycoskie, the founder of TOMS, the Dura Doggie team took a little road trip up to Santa Monica to the reveal event. The crowd who came out to show their support was not disappointed by the excitement of the new sunglasses and was given the opportunity to try the new styles on. Every pair of sunglasses purchased gave one person the gift of medical treatment, prescription glasses or sight-saving surgery. Having the ability to see affects every part of life in every country, so what a great new direction TOMS is going! The all day event included bands, a photo booth, various artists, and a bubble station that Chase and Frank particularly enjoyed. 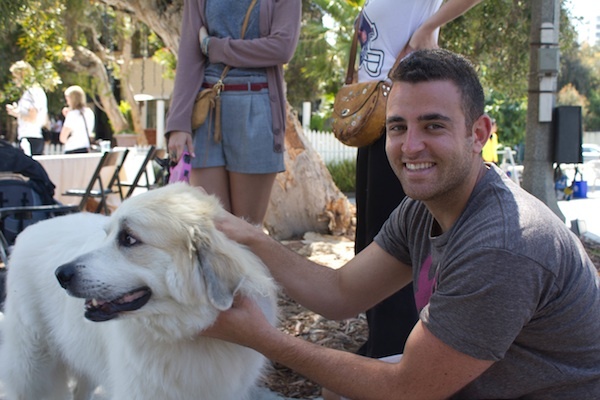 Raad even made friends with a fluffy white dog! Everyone had a great time. It is so encouraging to see other companies giving back to causes they are passionate about. Now back in the office, the Dura Doggie team feels rejuvenated at a fellow company’s success and there is a renewed excitement for the important charities we are supporting. 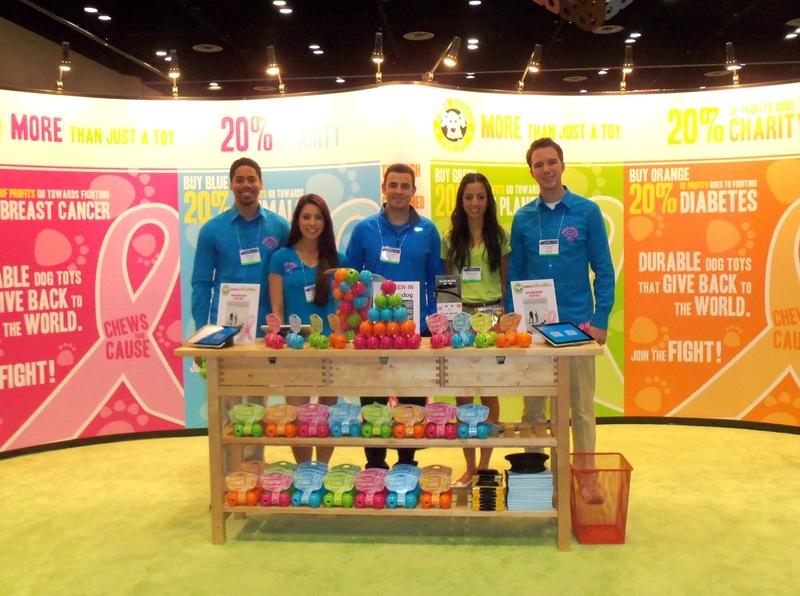 The goal of giving back to significant causes is what motivates us to get up and sell amazing dog toys every day. We LOVE what we do, and are excited to see more growth and awareness! Although Steve Jobs claimed 2011 would be the year of the iPad 2, here at Dura Doggie we know it will truly be remembered as the year of Dura Doggie’s Chews Your Cause! 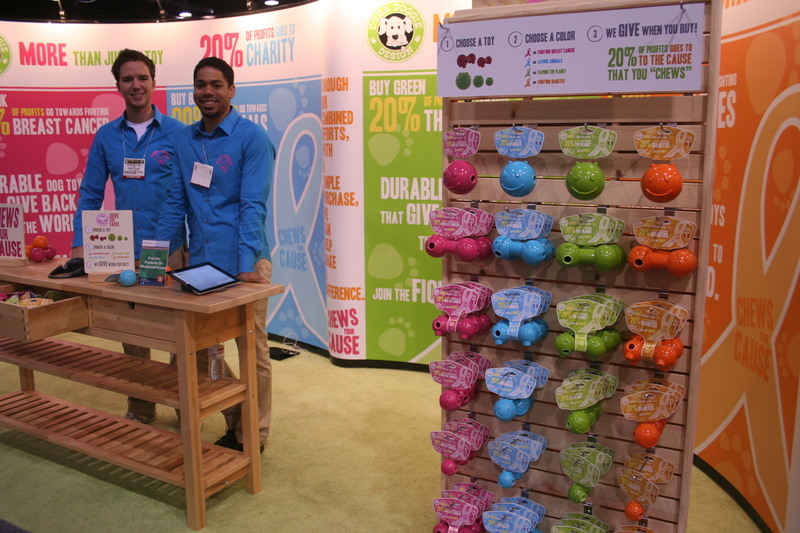 In March we went to the Global Pet Expo in Orlando Florida and the trip lived up to our expectations- Dura Doggie toys will be sold all over the globe this year! In the beginning of the year we had so many orders from so many new stores that it was difficult to keep up with the demand, but we’ve ramped up production and we’re thrilled to start shipping out toys worldwide. 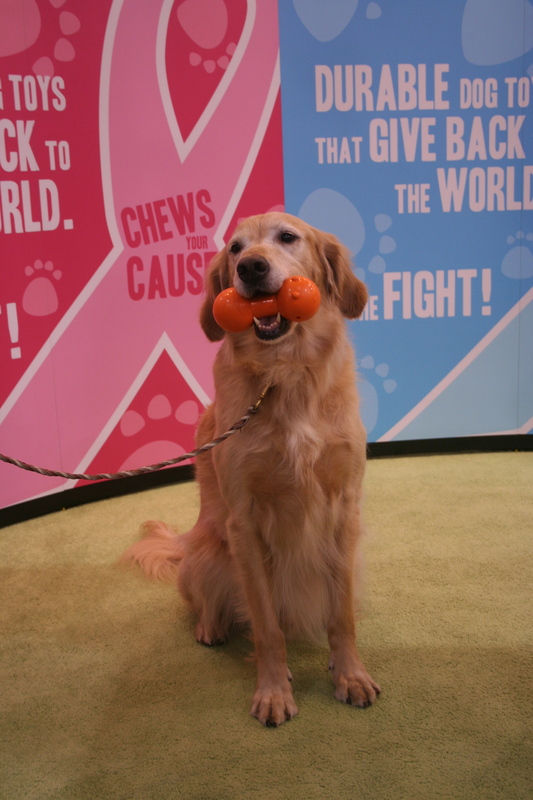 Even more exciting is that the more toys we sell, the more we raise for Chews Your Cause! 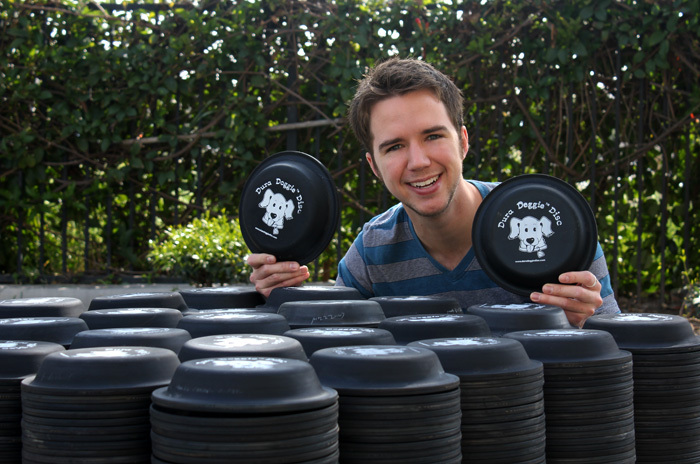 Speaking of giving to charity, we recently donated over a thousand Dura Doggie Discs (our first toy) to a non-profit that will distribute them to various animal shelters, making for happy dogs that will soon be adopted by happy owners. How cool is that? I’ll leave you with an old shot of my dog Lucky and me. We named him Lucky because out of the whole litter we chose him, so he was the “lucky” one. He’s so lucky, in fact that we chose him as the logo for Dura Doggie! 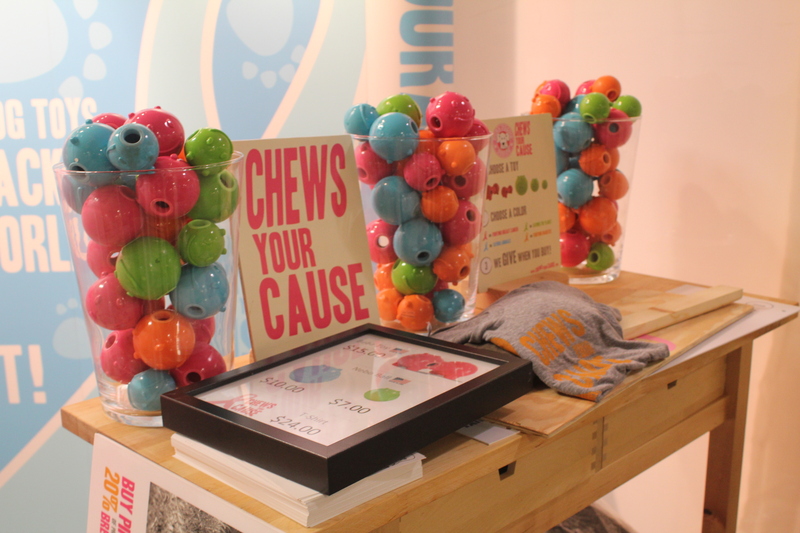 Don’t forget to CHEWS YOUR CAUSE!